Advance purchase a one-hour integral power healing session with Richard on the telephone or in-person. Sessions are possible on Monday to Saturday from 9am - 8pm MST. 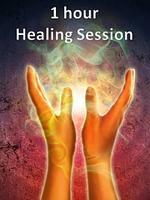 Buy a package of 5 Power Healing Sessions and save $108! Advance purchase 5 x one-hour private consultations with Richard on the telephone or in-person and save 12%! Sessions are possible on Monday to Saturday from 9am - 8pm MST. Commit to personal transformation and living your best life now! Buy a package of 10 POWER Sessions and save $400! Advance purchase 10 x one-hour private power healing sessions with Richard on the telephone or in-person and save $400. There is limited availability on this offer, so book now! Sessions are possible on Monday to Saturday from 7am - 6pm MST. IS IT YOUR TIME FOR A REFRESHING LIFE? Are you are feeling that your life is not working for you? Are you feeling stuck in the struggle of life rather than the joy of it? Are you looking for more meaning, love and lasting happiness? It is not too late to get your life back on track! In this life mastery program, you will refresh your life from the inside - out. You'll discover your life purpose, your path to fulfillment and reignite your inner fire. 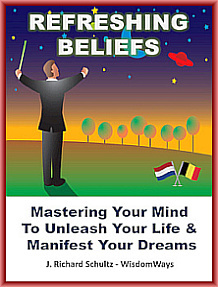 Change Your Life through the Power of Your Subconscious Mind. This book contains 1500 affirmations in 20 different life categories. 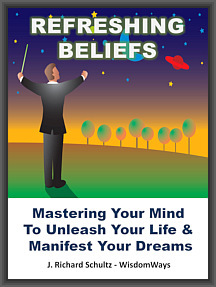 It also includes information to create your own beliefs and to find the beliefs most appropriate for you to change.